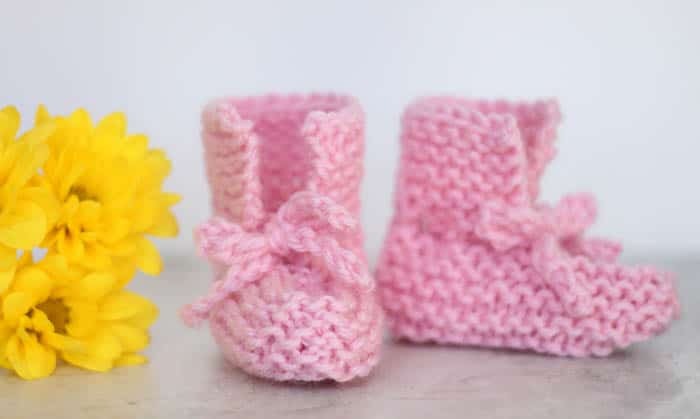 Today I’m bring you another totally easy Baby Booties Knitting Pattern! 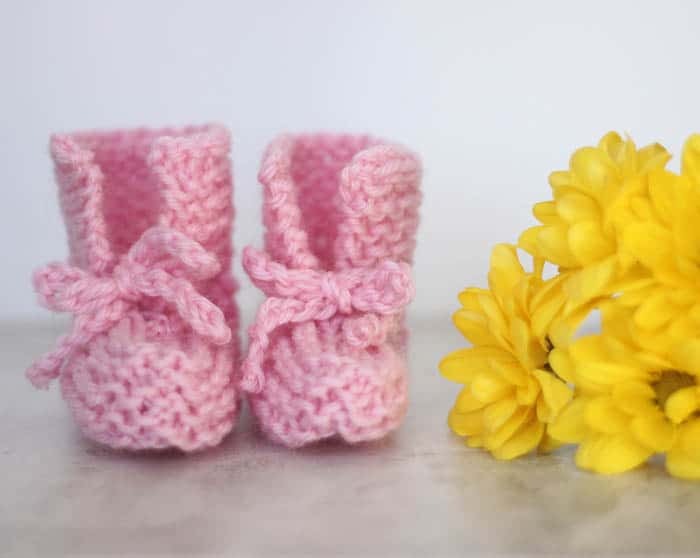 Hand knit baby booties make such a great gift…and I’m sure some of you are expecting new additions to your family this spring! 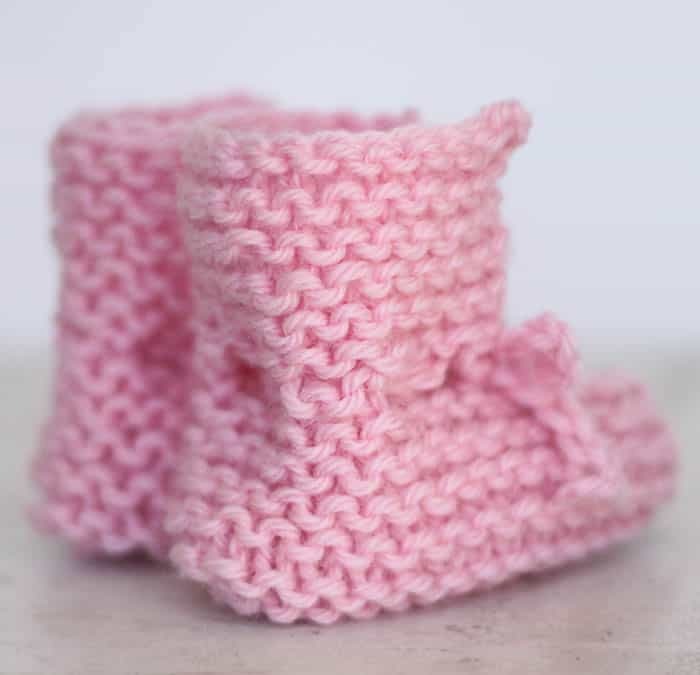 These booties are a breeze to make, even for beginner knitters. They’re knit flat, which means no double point needles and no heel shaping. Yay! They’re sewn together using a yarn needle when you’re finished. 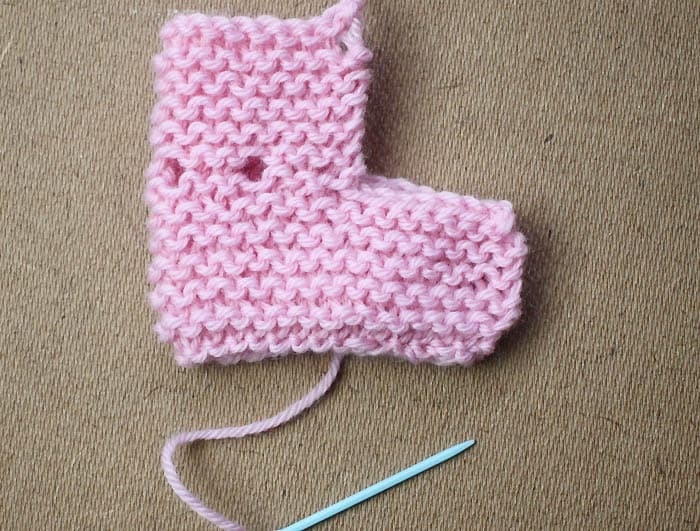 These booties knit up really fast and they’re great for making use of scraps of worsted weight yarn. I hope you guys enjoy the pattern and happy knitting! 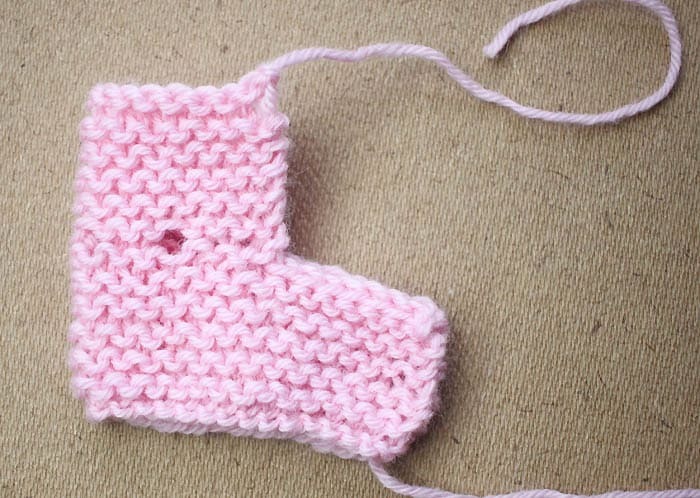 Sew the bottom part of the bootie closed. The yarn over holes are for the tie to be woven through. 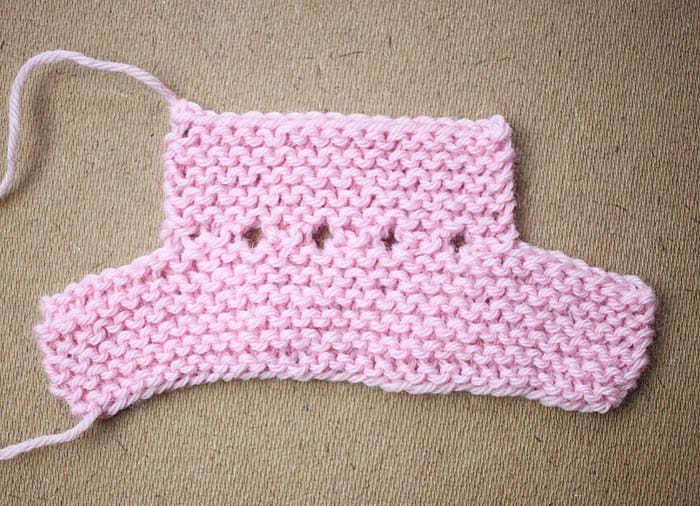 Crochet a 12 inch chain or use ribbon and thread through the holes. 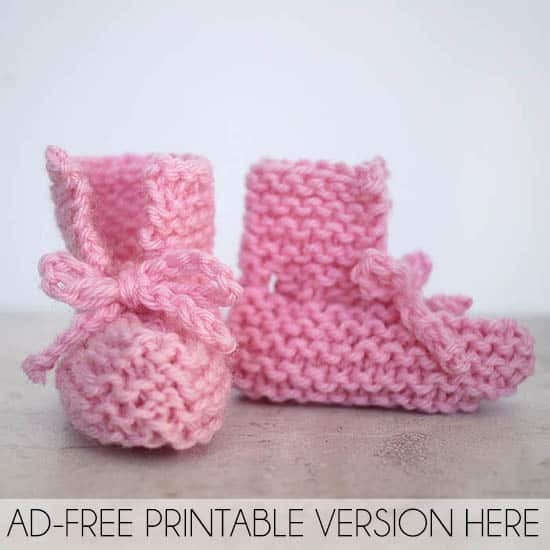 Want more free baby bootie knitting patterns?